Today I will like to share with you the new Glo Data Plan 2018. Ever since Glo Nigeria made a slight change in their data plan rate, many users have been asking for their new data plan which differs from Glo Data Plan 2017. Glo is a Nigeria own telecommunication company known for providing its users cheap data. As it stands today Glo is number Telecommunication Company that provides cheap data compared to its competitors like MTN, Airtel and 9Mobile. Though users complain of poor network around. This was a serious issue which have been solved by using 4G lite sim available in some areas. Glo have gone far to expand their coast by tapping into other African countries like Ghana, Benin republic etc. 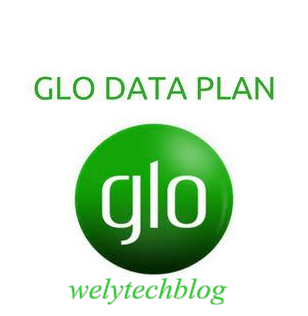 In this blog post I will give you details of new Glo Data Plan 2018 which is same thing as the new Glo 4g Data Plan and Glo data plan Code. Glo Nigeria has various platforms suitable for users on android, Iphone, blackberry and other smartphones. Below are available Glo data Plan and codes. Glo offers 100MB for 100 naira on Campus data Booster. The given data is valid for 2 days. For you to opt in or subscribe to this platform dial *777# to enjoy this platform. Glo also offer 100 Naira for 100MB valid for just a day, to enjoy this service dial *127*51# to subscribe. This plan gives you the opportunity to enjoy 262MB for 5 days. If the data exceed 5 days it will be void. For you to enjoy or subscribe to this platform dial *127*56#. Another available option in Glo 200 naira data plan is Campus booster 200 naira for 200MB. The given data is valid for 4 days. Enjoy this service by dialing *777#, choose the plan to subscribe. In the Glo Data Plan 2018 it has an option for you to enjoy TGIF of NGN 500 weekend plan. Here they offer you 3GB for weekends only. This implies that the data can only be used during Weekends. To enjoy this data plan dial *127*57#. Next on Glo NGN500 plan is 1GB for 14 days that is valid for 2 weeks. For you to enjoy this dial *127*57#. Glo NGN500 for 7 days, given data is 500MB. Dial *777# then choose the option to subscribe. After the slight splash in Glo data plan which resulted to a reduction in amount of data been given. Former with NGN 100 you can buy 4GB data iin glo valid for 30 days. But of recent after the reduction, Glo now offers 2GB for NGN 1000 valid for 30 days. This is still better compared to others network providers in Nigeria. To subscribe for this data plan Dial *8127*53# or dial *77# and choose the plan. In this data plan Glo gives 4.5GB data that is valid for 30 days. The give data is available 24/7 to enjoy this data plan dial *127*55#. They also give 2GB for NGN 2,000 on Campus data booster. To enjoy dial *777# and choose NGN 2,000 Glo Campus Booster data pla. GLo also offer 7.3GB for NGN 2,500, given data is valid for 30 days only and is available for 24 hours within the given 30 days. To enjoy this plan dail *777#, then choose NGN2,500 data plan. You can simply se this shortcut – dail *127*58#. In Glo Data Plan 2018 has expanded to accommodate a larger plan. GLo now offers 12.5GB for NGN 4,000 valid for one month or 30 days. Dial *127*59# to subscribe. This plan goes NGN 3,000 for 8.8GB and lasts or valid for only 30 days. To enjoy dail *127*54# or follow *777# process. Glo offers 15.6 GB for NGN 5,000 valid for 30 days. To enjoy this service dail *127*2#. Enjoy 12GB with NGN 6,000 valid for 30 days or one month. Dail *127*6#. Buy 25GB for NGN8,000 valid for one month. Dial *127*1# to subscribe. This is actually one of the huge plans that glo has. They offers 52.5GB data for 30 days. Dial *127*12# to subscribe. Enjoy 78.8GB for 30 days, dial *127*33# to subscribe. The following are other available Glo Data Plan 2018 with their Glo data plan code respectively. · NGN 25 for 12MB, valid for a day. Dail *127*32# to subscribe. · Glo G-Leisure offers 12Gb for NGN 5,000 only valid for one month. Dial *127*7# to subscribe. You have seen the new Glo Data Plan 2018 as released by the company. The above data plans are applicable and effective now. If in any case you want to subscribe to any plan follow the steps outlined. Or you can use the short code to subscribe. Now you can attest and see the changes made in Glo Data Plan 2017 as regard to Glo Data Plan 2018. Please share with friend and use the comment box below to ask questions.